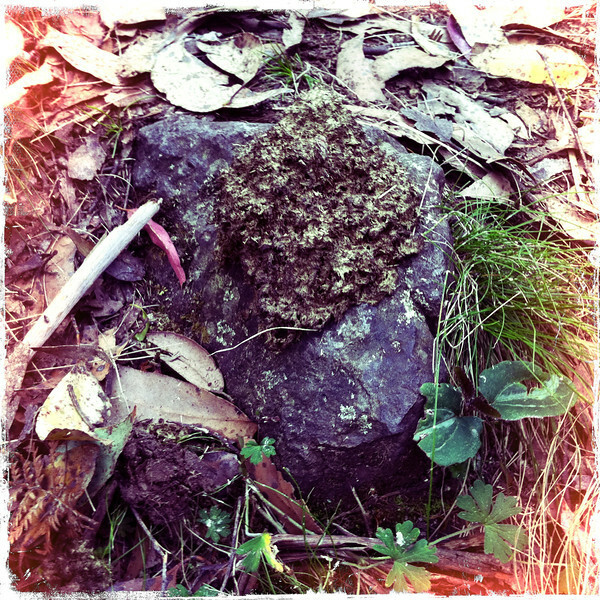 Rain-affected wombat poo on volcanic rock and surrounded with leaf litter and grasses. Camels Hump, Victoria. Nov 2011.